This week, thousands of young people protested a new Hungarian law targeting foreign universities that has been seen as “political vandalism” and an authoritarian attack on academic freedom. The crackdown on civil society mirrors many other countries, including China and Russia, where large-scale protests last week denounced government corruption. Even the U.S. was criticized for efforts to restrict the right to protest. Whither democracy? Is the future of international collaboration at stake? 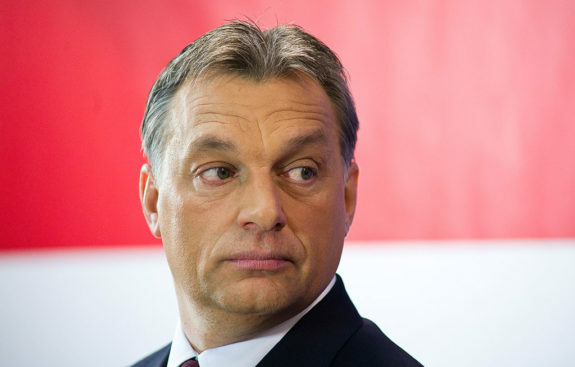 As NPQ reported last week, Hungary’s Prime Minister Viktor Orbán has been creating and riding a wave of nationalist, anti-refugee sentiment to consolidate power. Legislation passed by the right-wing Fidsez government as part of their self-proclaimed “spring offensive” puts the popular George Soros-funded Central European University at risk with tighter regulations. Under the new law, foreign universities must have a campus located in Budapest and a campus in their home country. CEU does not have a U.S. campus. Further, the law mandates that foreign colleges and universities may only award degrees if the Hungarian government and the government of the university’s home country have an accord in place within six months of the law taking effect. The Hungarian government’s attack on CEU endangers universities throughout Europe and is sending shock waves across the Atlantic to the school’s many US academic partners. If the government of an EU member state can undermine a world-class private international university through destructive regulation, no European or American academic institution can be fully protected from the wave of nationalist authoritarian politics that is sweeping Europe and the United States. Why is this university in particular being threatened? Shattuck argues that Orbán needed a “liberal bogeyman” to rouse his base before next year’s election and has also followed U.S. President Donald Trump’s “protectionist playbook” in accusing CEU of unfairly competing with local institutions. The debate over the future of CEU is about the defense of democracy, open inquiry, and the pursuit of knowledge. These are at the heart of what a university can contribute to society, and why the academic freedom of CEU matters and must be defended. The leaders of CEU quickly launched an international campaign to challenge the legislation and the protests made headlines around the world. According to Reuters, CEU Rector Michael Ignatieff was in Washington, D.C., this week meeting with lawmakers and government officials. Defenders of democracy in Hungary take their case to the European Union’s high court even as freedom of the press at home is waning.